This recipe can be made ahead of time, which is one of the many things I love about it, and left ready and waiting in your fridge. I have included a few of my favorite ideas below…just to start the creativity flowing but there are so many dishes this could finish off or enhance. If you would like to try it the way I first had it, you can simply drizzle it over some cheeses and grilled vegetables. 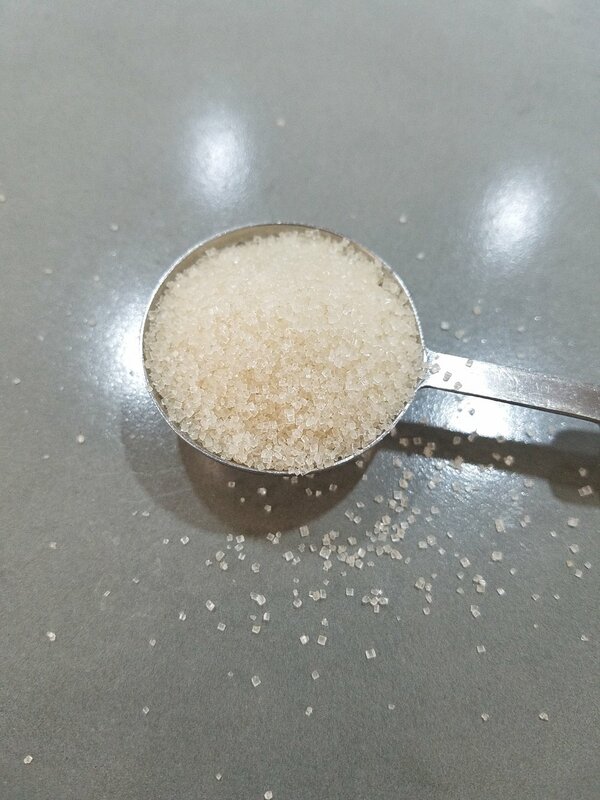 It is so delicious and addictive though that I think you will find yourself drizzling it on just about everything shortly. 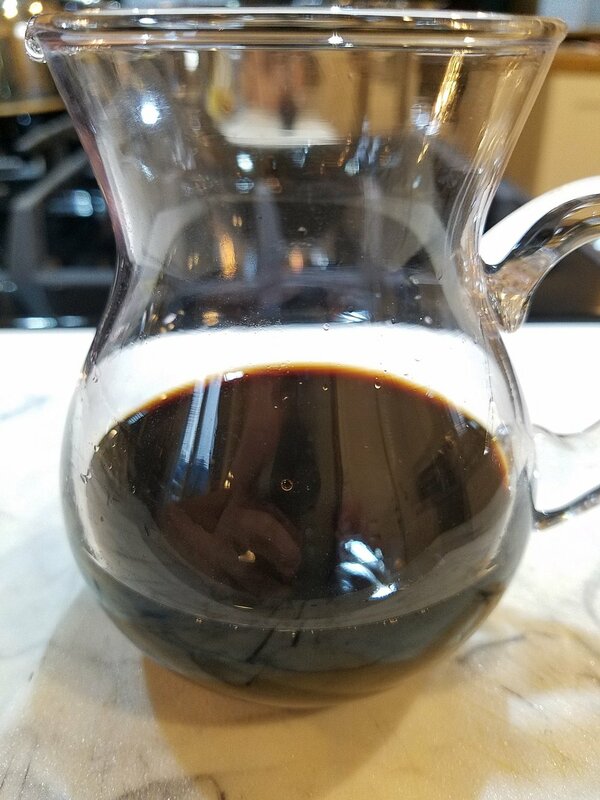 I made this recipe using Primitivo wine from Puglia because that is what the original recipe used…and because I love it…and because I love it…and because I love it! Primitivo is easier to get your hands on now days but if you can’t find it, a Zinfindel could be used. These 2 wines are both clones from the same grape so they are very similar. 1. Add all the ingredients together in a small saucepan. Heat on medium high, stirring until the sugar is disolved. 2. 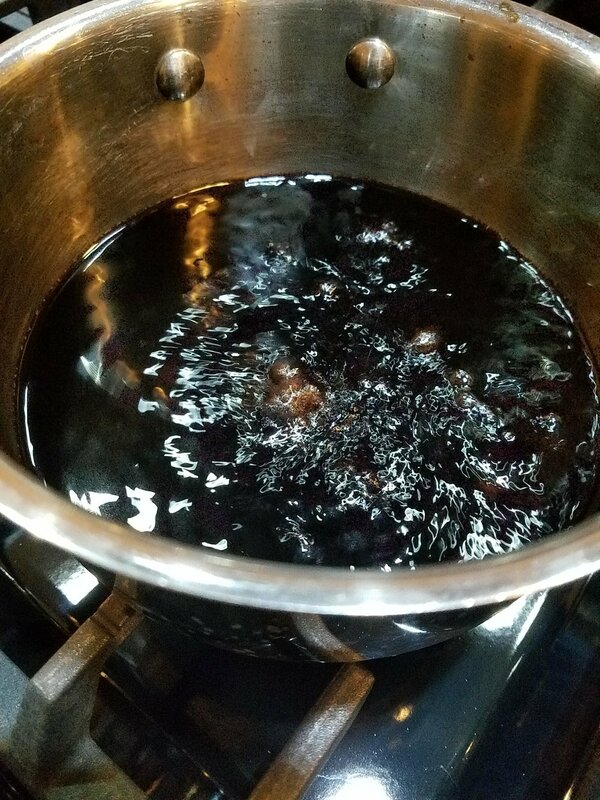 Bring to a boil and simmer until the liquid is reduced by approximately half, about 12-15 min. The liquid should have thickened slightly, enough to cover the back of a spoon lightly. 3. Transfer to a jar or glass container and let cool completely before using. 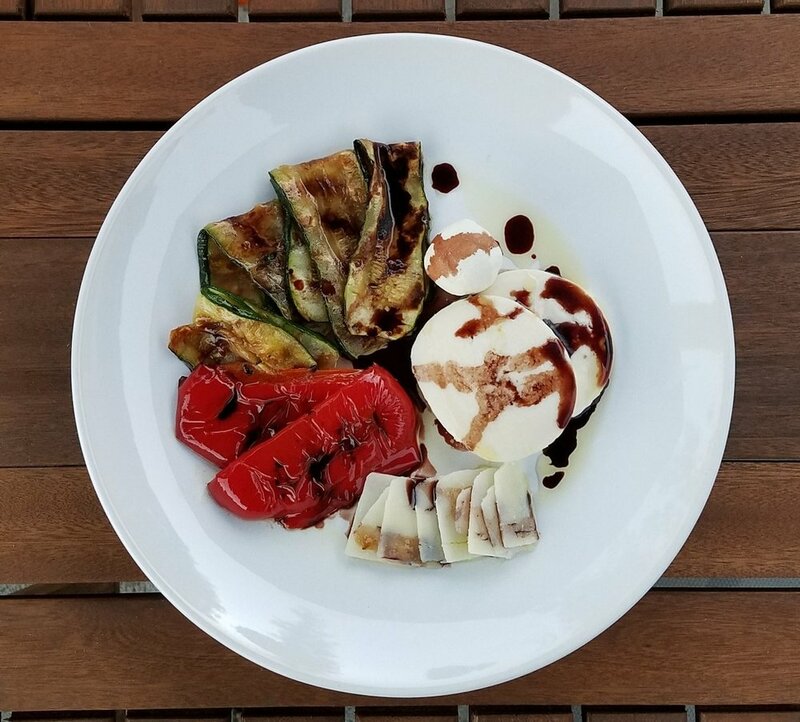 Grilled Vegetable and cheeses - Grill zucchini, bell pepper and any other veggie you would like with olive oil, salt and pepper. Choose a selection of cheeses. I chose chèvre, mozzarella and pecorino. One of the cheeses I first tried this with was burrata which is an amazing mozzarella cheese with a creamy center….it is to die for! Arrange everything together on a plate and drizzle with olive oil (I prefer more olive oil on the veggies and less on the cheeses) and the wine and vinegar reduction. Bruschetta - Slice a baguette, drizzle with olive oil, salt and pepper and brown in the oven. Chop fresh tomatoes. Add torn fresh basil, olive oil and salt and pepper to taste. Top the toasts with the tomato mixture and drizzle with wine and vinegar reduction. Arugula Salad with strawberries, almonds and chèvre - Put together in a bowl, fresh arugula, sliced fresh strawberries, sliced toasted almonds and crumbled chèvre cheese. Drizzle with olive oil and wine and vinegar reduction. Salt and pepper if desired. 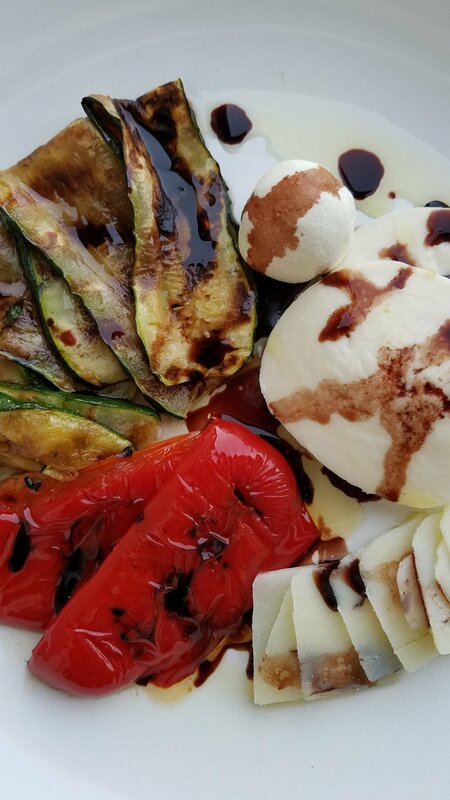 Caprese Salad - Slice fresh mozzarella and fresh tomatoes. Layer them together with basil leaves. Drizzle with olive oil and wine and vinegar reduction. Salt and pepper if desired. Fruit and Cheese - Slice fresh peaches, pears and strawberries. Top with chèvre cheese. 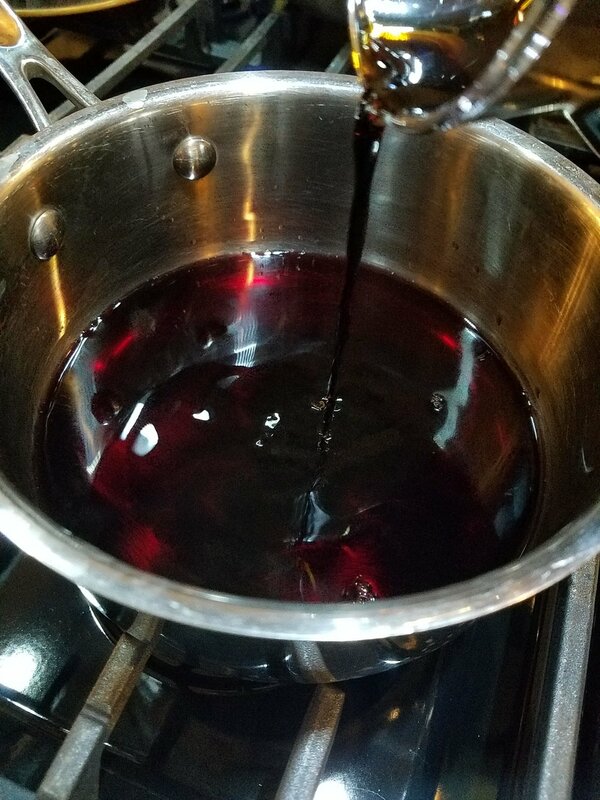 Drizzle with wine and vinegar reduction.